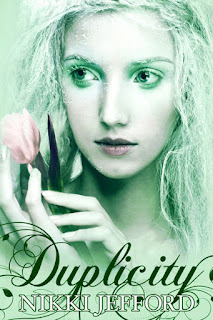 Join me, and a cast of others, for an Indie-Kissing Blogfest! Hosted by the Indelibles. I'd like to share with you Grace and Seth's first kiss from Fall For Me. This is one of my favourite scenes in the book and I really loved writing it. Enjoy! There was a moment of comfortable silence between us before Seth sat up and crossed his legs so his knees touched the front of the couch. Our faces were level, and he leant in slightly. I waited to see what he would do. He was close enough that I could feel his warm breath on my cheek, and I knew I didn’t want him to pull away, but I wasn’t sure if I wanted to kiss him either. Now would be a very good time for toothpaste. You don’t have to, if you don’t want, he whispered in my head. He slipped my free hand into his and turned it over, tracing my palm with his finger. Seth’s touch was gentle and warm. Are you trying to seduce me? I asked. A huge smile spread over his face, and before I had time to react he closed the small gap between us. Never in my existence had I felt something as soft, and tender and gentle as that kiss. It surprised me; it was so different to the way Josh kissed me. It was like we fitted perfectly together and the moment his lips touched mine, it felt right. I found myself wanting more. Eagerly, I slid my hand behind his neck and pulled him closer, twisting my fingers into his short, blond hair. My mind went blank, and all I knew was his touch. Too soon Seth pulled away and our lips parted. With our foreheads touching I gasped for breath, my heart racing. He gently raised my chin then held out his hand and caught my tear in his palm. I hadn’t even noticed I’d been crying, and we both watched as it turned into a diamond. The tears began to flow faster as I remembered catching Seth’s tear so long ago. “I have one of those, too,” I said, smiling. “…how good it was?” he asked. Exactly. I felt my smile widen. You have no idea how long I’ve waited for this moment, Grace. How long I’ve waited for you. I closed my eyes, laid my head on his shoulder, and felt like I was home. I'm also giving away to one lucky winner an eBook copy of Duplicity by Nikki Jefford. Nikki is one of my favourite Indie authors, and if you haven't had a chance to read one of her books, you don't know what you're missing out on. 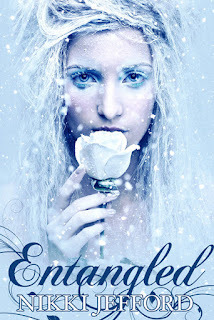 So, go and grab Entangled here because it's FREE, and then enter the comp below. Just look at the awesomeness of these covers! Make sure you check out all the other participating blogs at the end of this post. I enjoyed reading this, especially the part when the tear turned into a diamond and the explanation of it. Thanks for sharing! Kim, you are sweetness and beyond! You just made my entire Valentine's Day. Very sweet scene! I love the tear turning into a diamond and what it means. Thanks Brandee, that's the response I was hoping for!